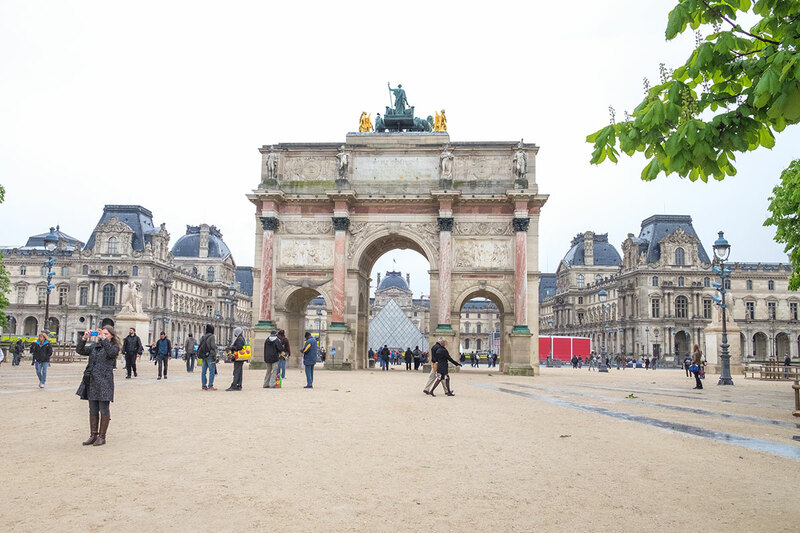 An interesting client proposal led us to a long weekend in the pretty Parisian city! A few months back, a lovely lady Rebecca got in touch all the way from Paris about working together on her new floral business. With the power of Skype we had a good chinwag about the brand and I booked a mini research trip to find out more about the beautiful buildings and flowers I’d be illustrating (but that’s another blog post). 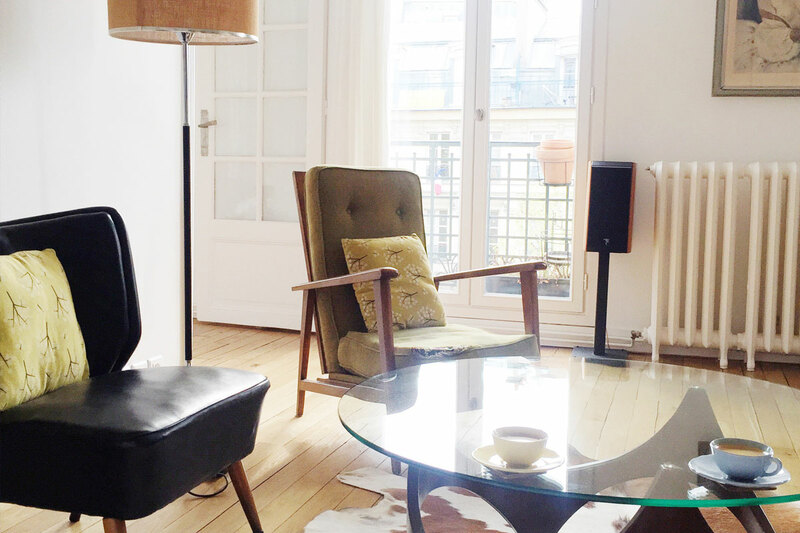 We stayed in a gorgeous apartment in the 10th arrondissement, just one of the villages that make up Paris. 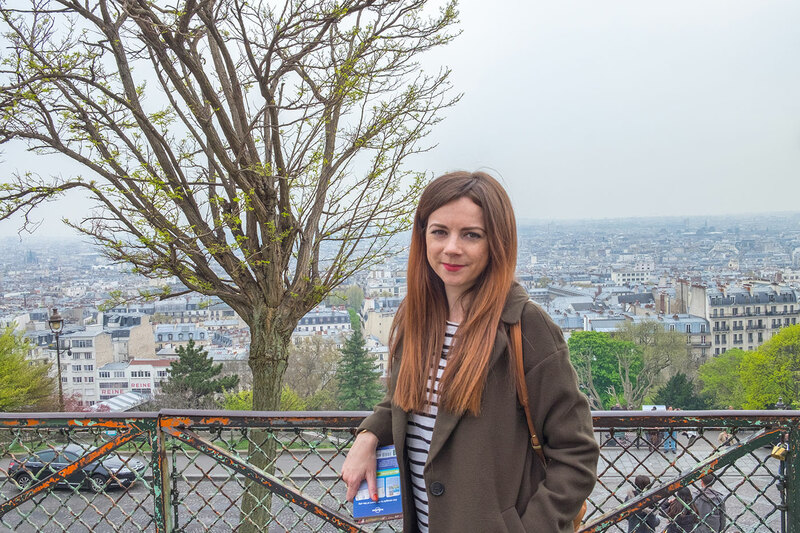 A short walk from the Gare du Nord Eurostar terminal we were pretty much 3.5 hours door to door from Hackney. So smooth, it makes me wonder why I don’t Eurostar EVERY weekend?! 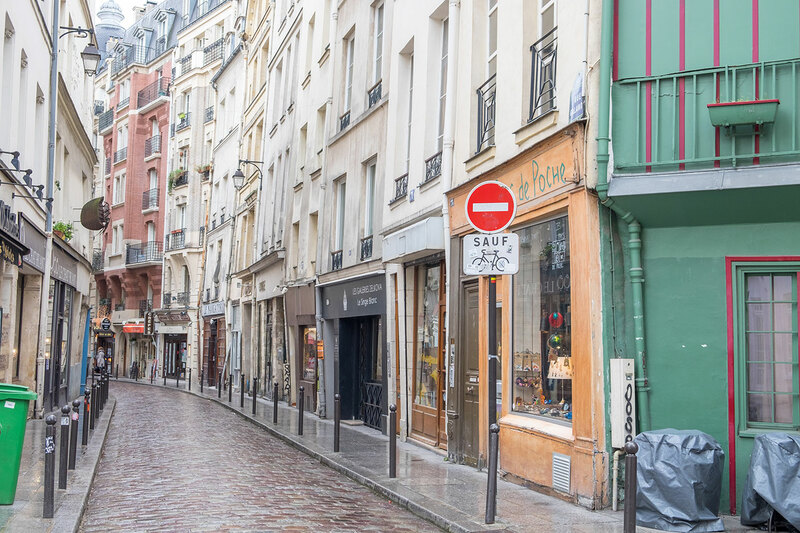 The neighbourhood is vibrant, a total mix of cultures and people—with an array of shops from traditional French patisseries to AfroCaribbean hairdressers. Everything is covered… from cheap to chic! The area had a local feel (despite being so central) with a distinct lack of tourists and we liked that. En route to the apartment we picked up some cheese and wine from Taka & Vermo, a new artisan fromagerie that had recently opened on the trendy Rue Faubourg Saint Denis, how French! 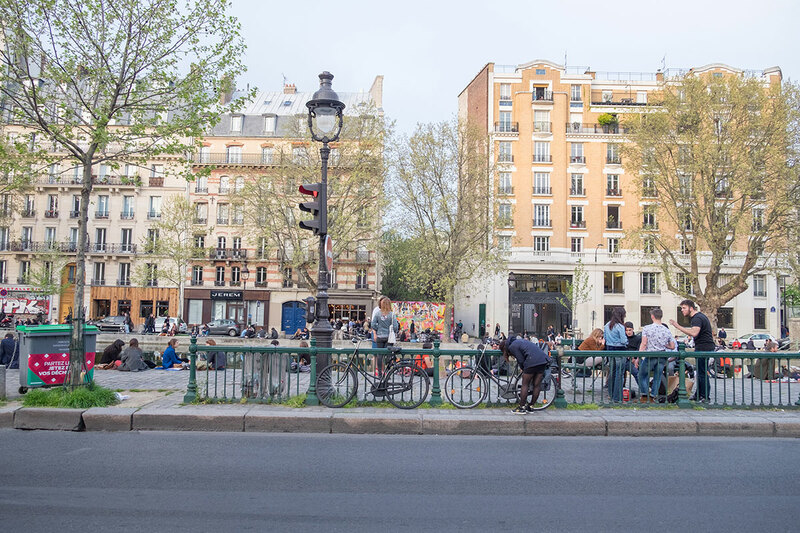 The 10th arrondissement centres around Canal St. Martin, a concrete banked canal area brimming with cafes and restaurants. 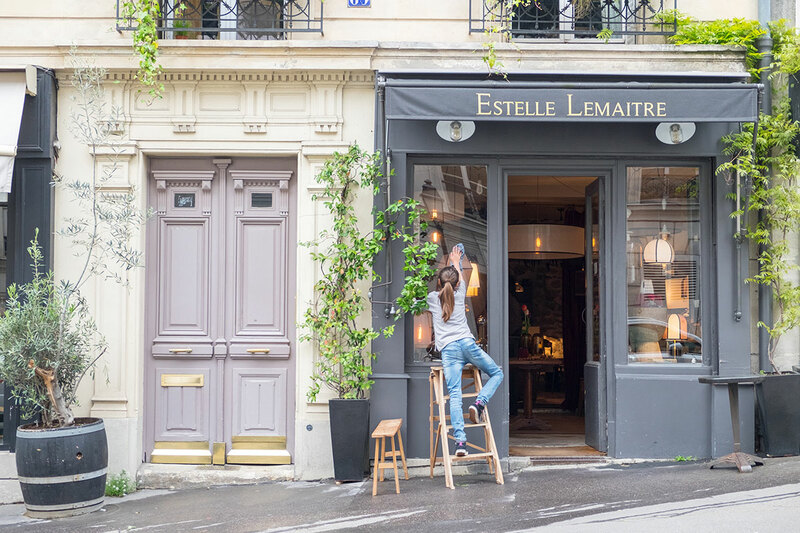 It had an artsy, bohemian feel — with design conscious stores inhabiting the almost utilitarian flat buildings. It was relatively calm on our visit but I could imagine come summer months it would be bursting with cool kids, overspilling the bars and flocking to the canal sides. 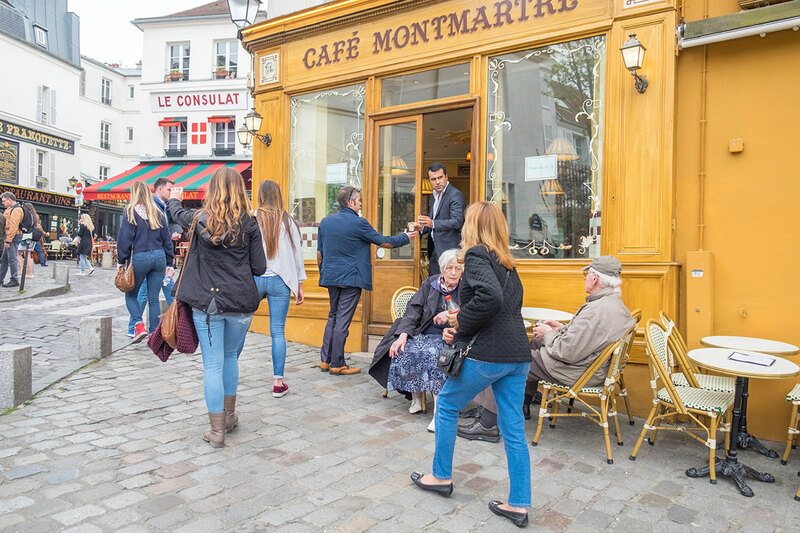 Next stop was Montmarte — originally a tranquil village filled with vines and windmills (we spotted one windmill still remaining! 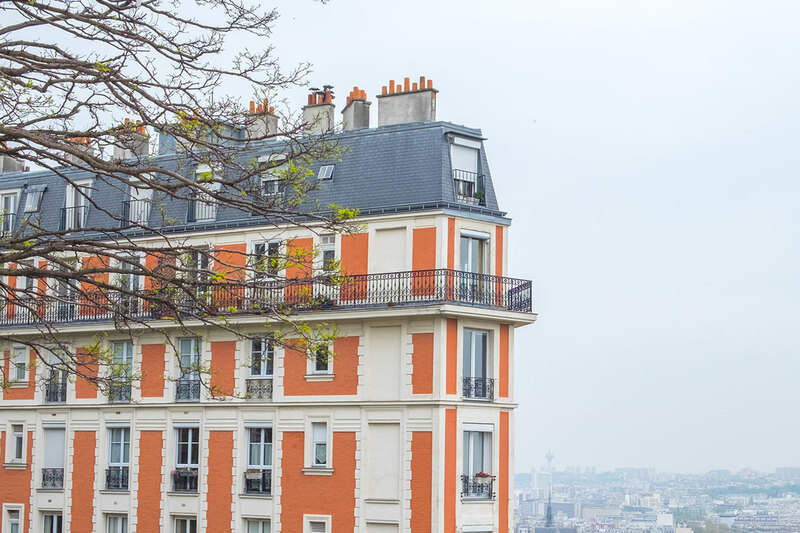 ), it sits on Paris’ highest hill in the 18th arrondissement. 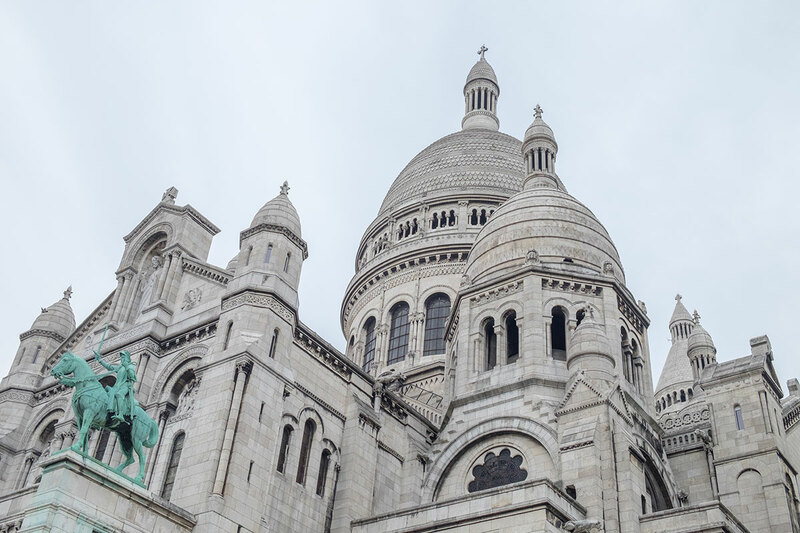 The spiralling cobbled streets and abundance of steps eventually lead to the summit where the famous Basilica of the Sacre-Coeur stands — a Roman Catholic church that towers over the city. The views from the top are amazing. 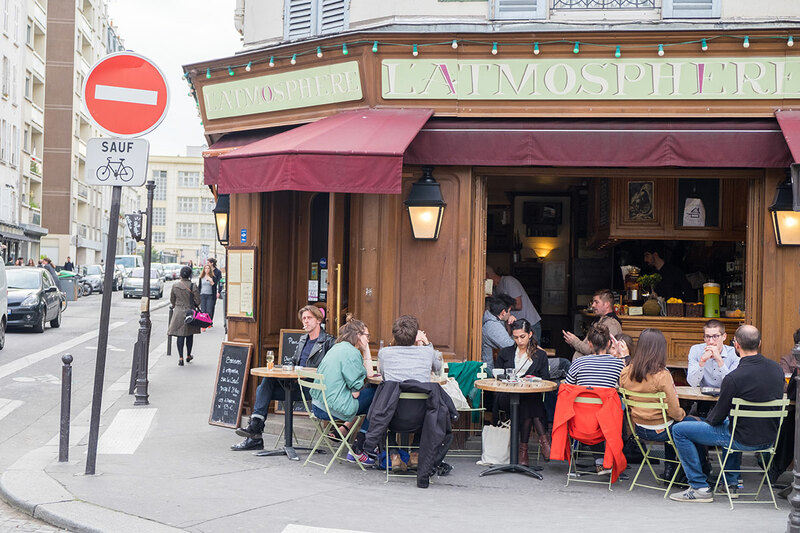 If you’ve never been to Paris, Montmartre is probably the district that you’d dream about. 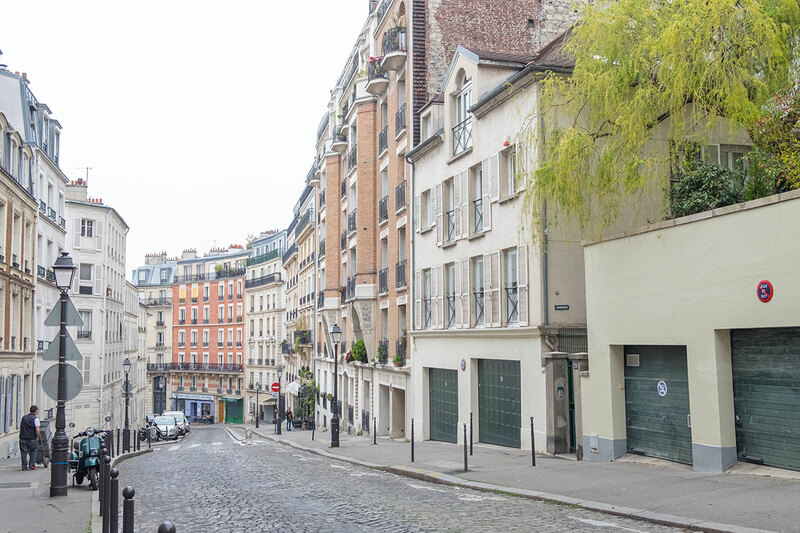 One of my favourite films Amelie was filmed there and it whimsically depicts a charming Parisian life in a hilltop quarter. The real version isn’t too dissimilar (minus the thousands of tourists and lucky-lucky-men selling tat) but it has such a romantic feel when you get lost in the streets away from the crowds. 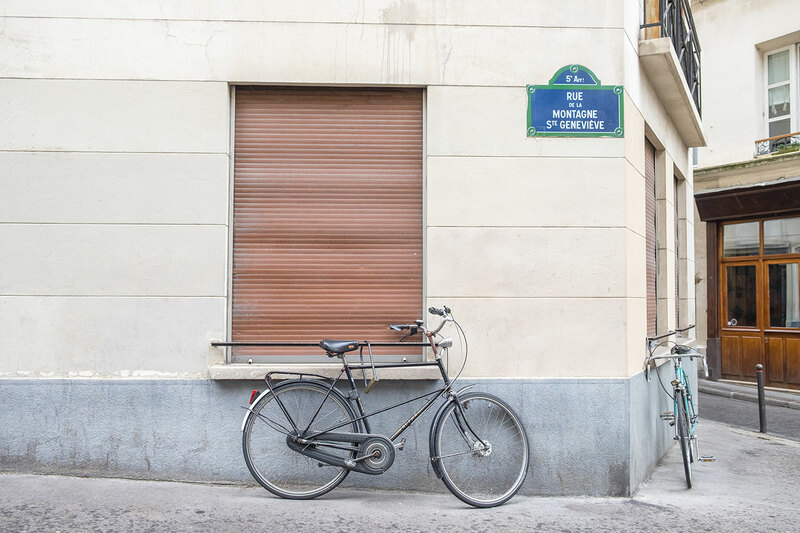 The neighbourhood used to attract artists from all over France as it was once the mecca of modern art. You can still buy original art or replica prints, and even commission something new! 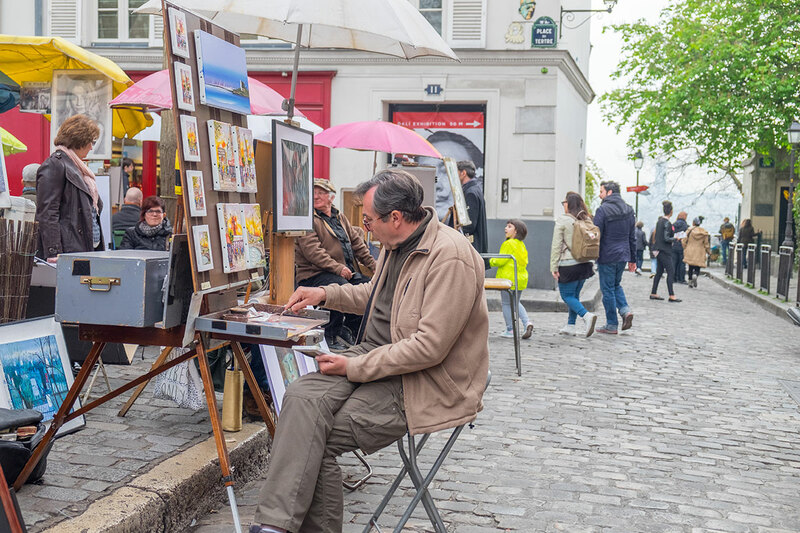 Artists set up their easels daily in Place du Terte, the main square in the village, but do watch out for the con-artists that roam the surrounding streets… it’ll be obvious who they are as they HOUND you. 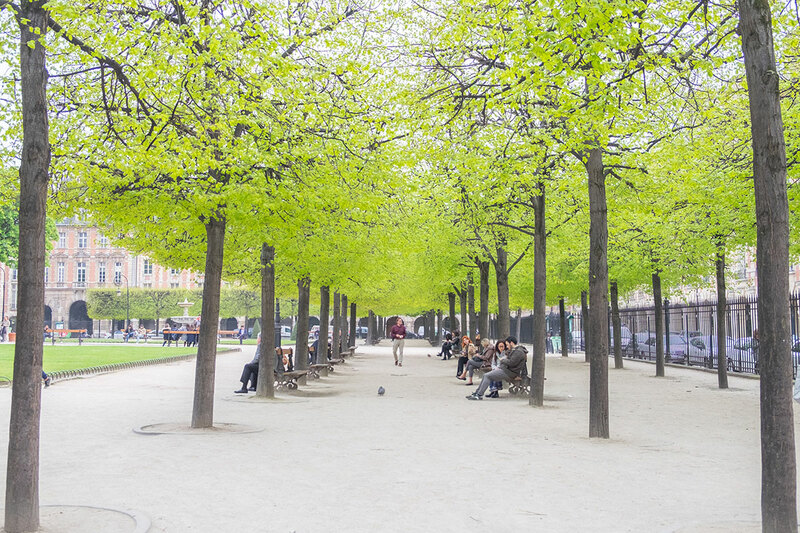 It’s a picturesque Paris, albeit touristy — it’s a must, as well as picking up a crepe of course! 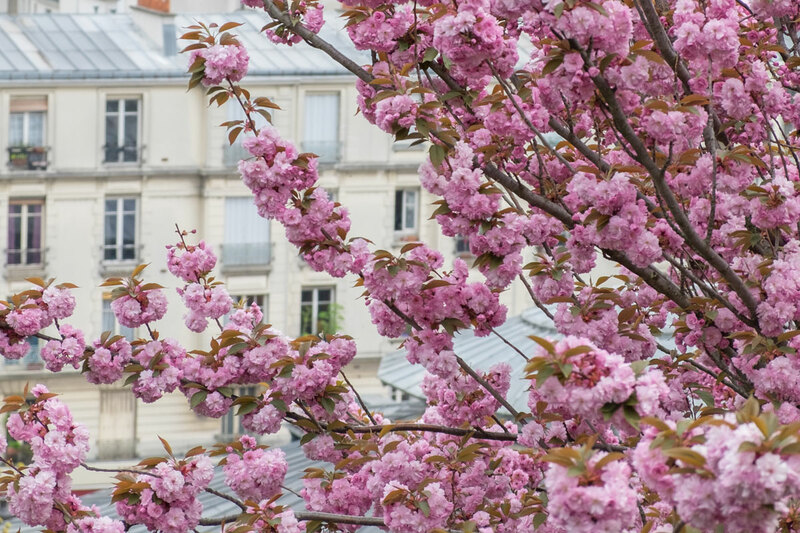 Springtime in Paris really is heavenly. 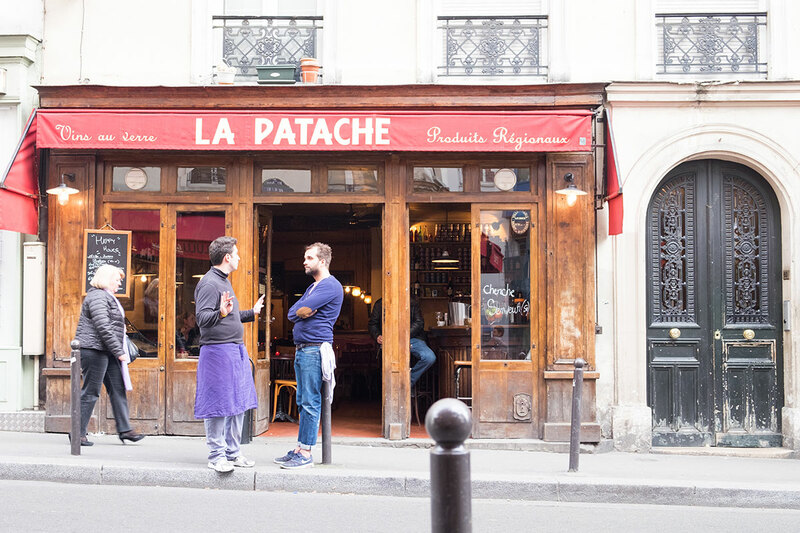 Le Marais ‘old Paris’ is in the heart of Gay Paree and has been one of the hippest parts of the city for years. 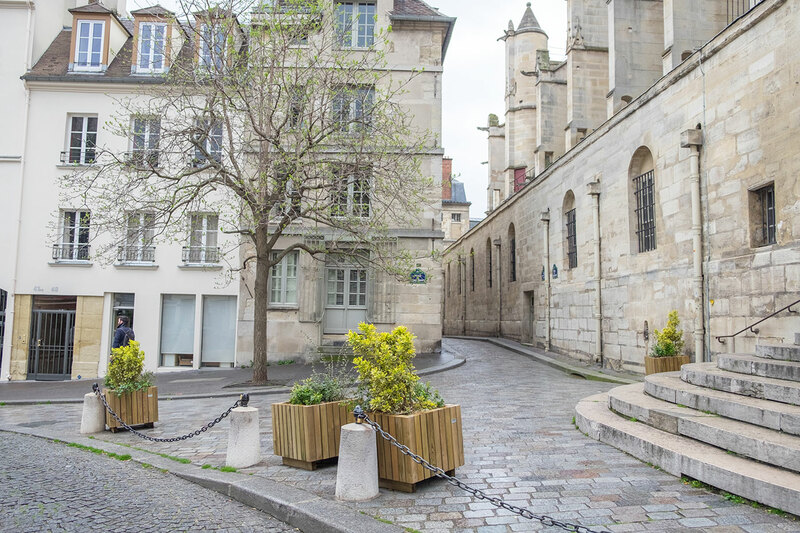 The cobblestone medieval streets are now adorned with designer stores, fashionable (read expensive) restaurants and charming corner cafes. 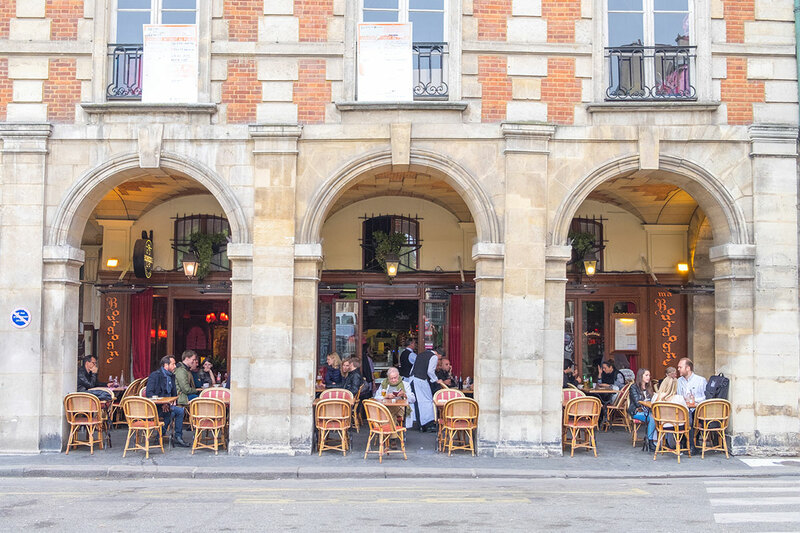 Sitting in the 3rd and 4th arrondissement, Le Marais has a thriving art scene and is home to many galleries. 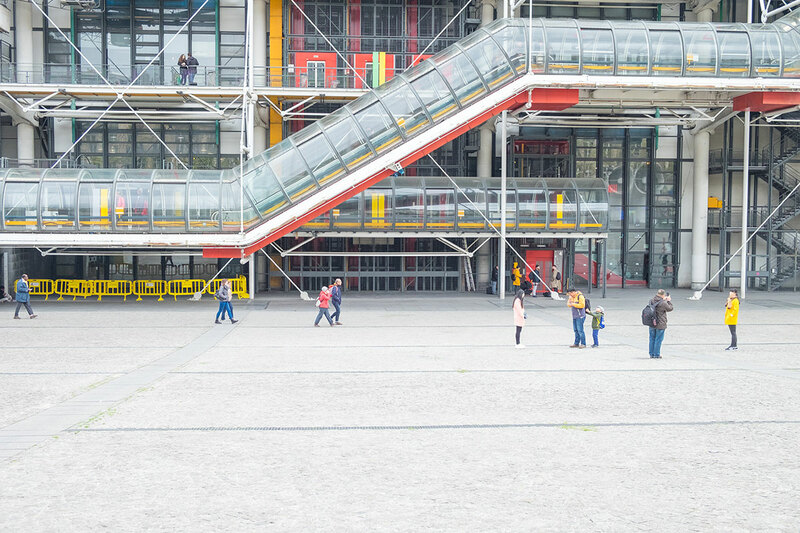 One of the most recognisable has to be the Centre Pompidou, a multicultural complex that caused such an uproar when opening in the 70s due to its industrial appearance of brightly coloured tubes (which are everything from escalators, plumbing and aircon on the building exterior!) It’s a huge building and houses some great exhibitions although we didn’t pop in this time as the queue was massive but it’s an absolute recommendation — just get there early to avoid the herds. 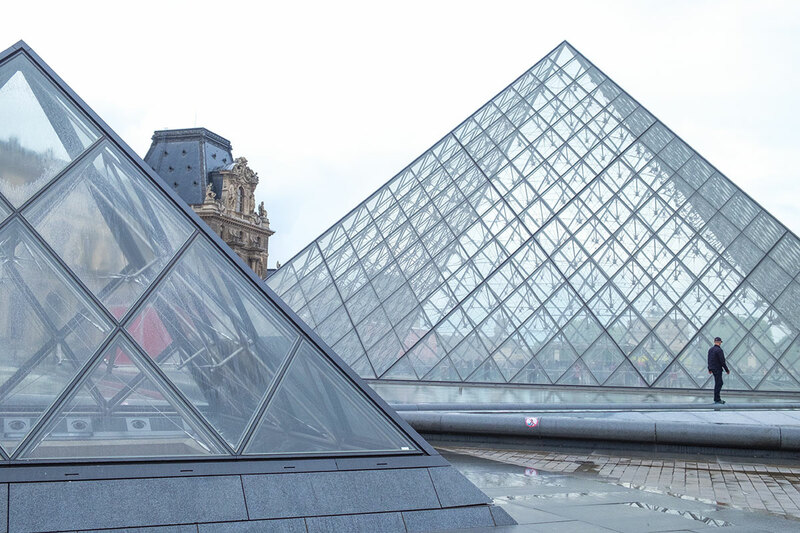 One of Paris’ other renowned museums is the Louvre, part art collection and part royal palace it’s known for its glass pyramids and famous attraction the Mona Lisa. It’s the worlds largest museum (with over 35,000 works of art!!!!) 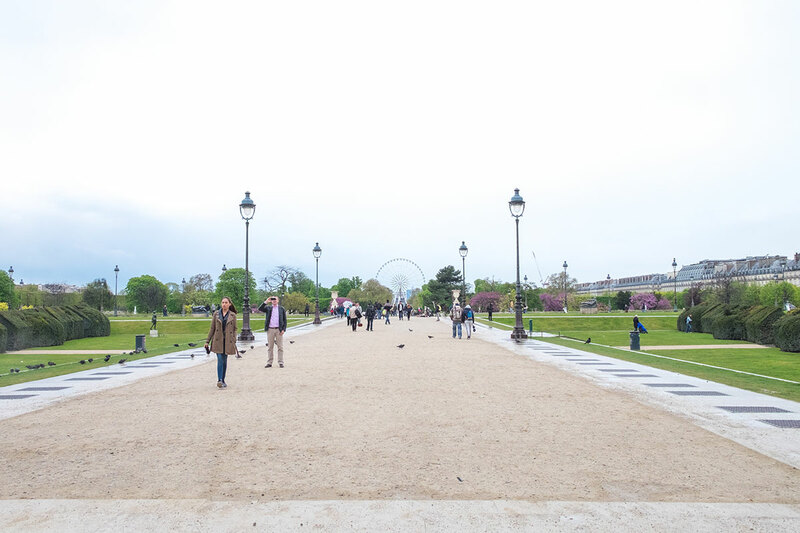 you could literally spend days in there…but many college and university art trips meant I was happy to skip a visit this time and instead enjoy the grounds and the small bit of sunshine that peaked through the clouds with a stroll through the pretty Tuileries Gardens that run parallel to the River Seine. Crossing the river from the Louvre you can see the famous Notre Dame cathedral that sits on a mini island accessible by bridge. 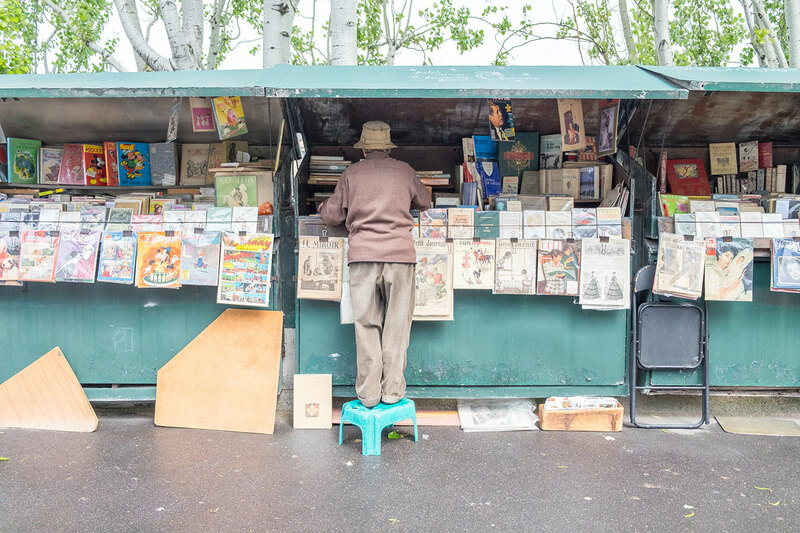 Bouquinistes (that’s street book sellers to you and me) line the banks of the Seine trading used and antiquarian books to passersby. 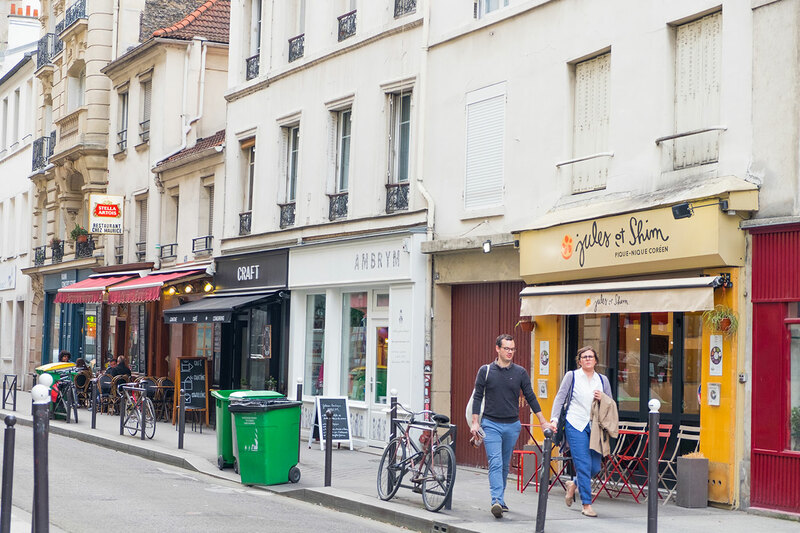 This is Saint-Germain, a central neighbourhood and the heart of the Bobo (Bourgeois Bohemians) scene in Paris in the 5th arrondissement. 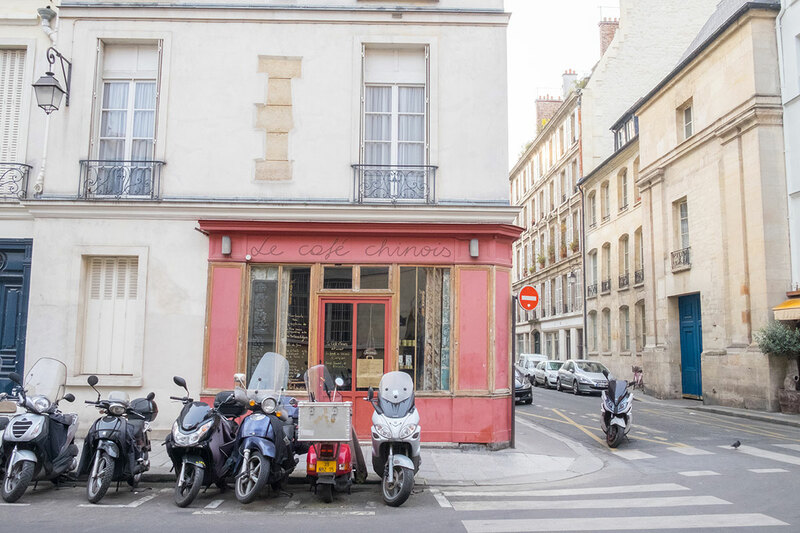 A little wander round the cobbled streets and you’ll discover patisseries, churches and cafes. 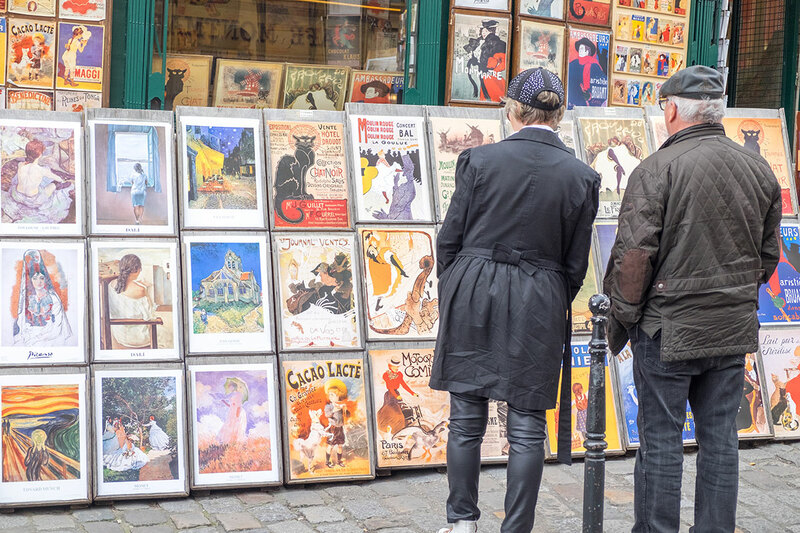 The area has a buzzing cafe culture and Cafe de Flore is one of the oldest and most prestigious coffeehouses in Paris, well known for it’s famous clientele from politicians, writers, poets and artists. We didn’t venture too deep into the south side of the river mainly because of shoddy weather — although I do wonder if there’s a huge North vs South divide with locals like there is in London!? Saint-Germain borders the Latin Quarter and being a Sunday it was pretty quiet and most of the places were closed. 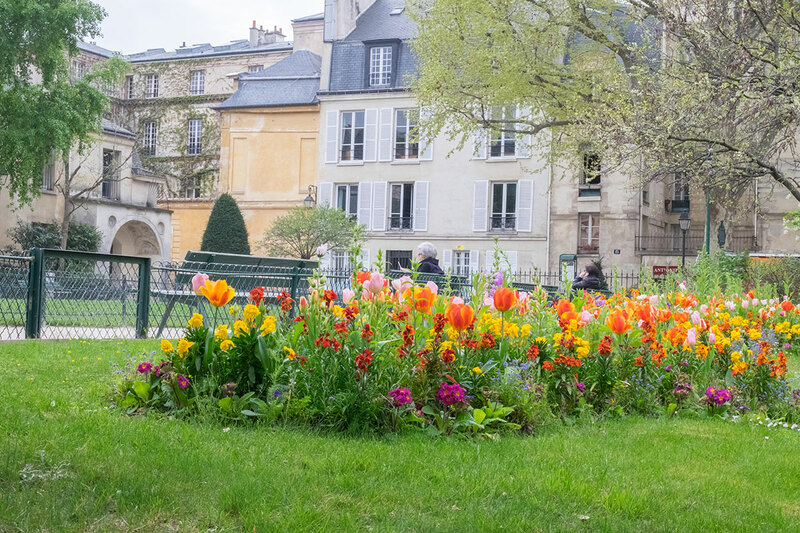 That said there are many things to see, from the Pantheon to Jardin Luxembourg, and on later discovering in our guide book there is a Sunday market on Rue Mouffetard that somehow we missed, so we’ll save that one for next time. 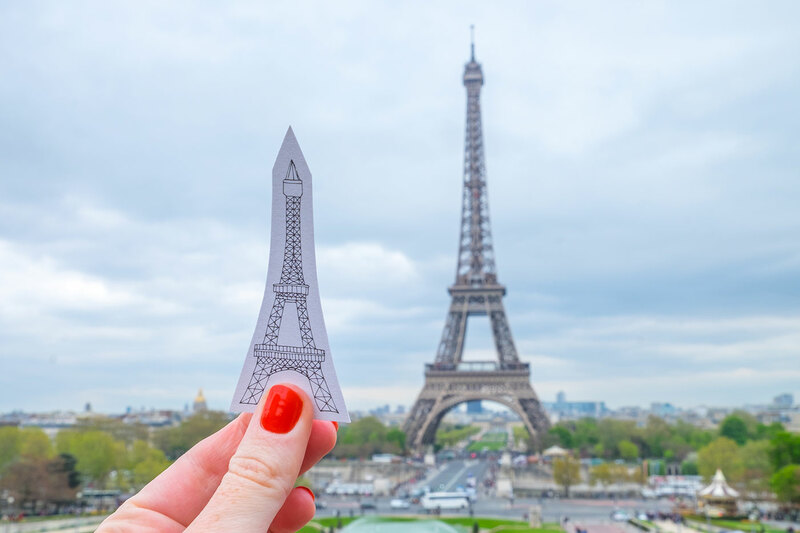 No trip to Paris would be complete without a visit to the picture perfect Eiffel Tower! 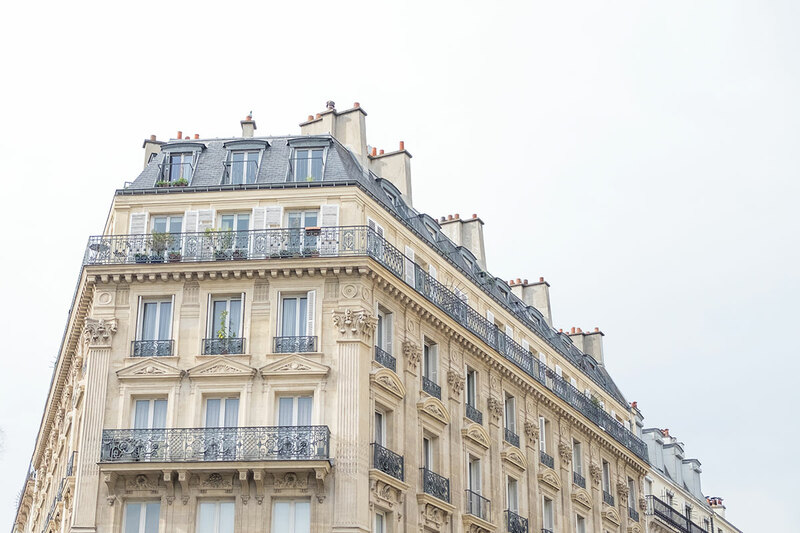 The huge iron structure stands over the city and is the most recognisable landmark in France. I don’t need to tell you anymore about this one but I think my illustration is a pretty good representation, don’t you think?! The metro is the fastest and cheapest form of transport, you can buy a carnet (book of 10 tickets) for about 14 euros?! Cabs can be quite expensive and we found the drivers don’t have much patience. Although I believe they have Uber now?! Visit at least one of the amazing museums — I’ve previously been to Rodin, Pompidou, d’Orsay, Louvre and Picasso — they’re all fab. The first Sunday of every month quite a lot are free too.